Just now getting around to reading this. I too find the regular ClearJel really thick and gloppy. I'm looking forward to trying this other product! Thanks. 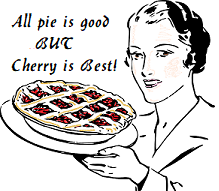 Pie is good.